multilingual technical documentation and after-market material. adapt to your demands and is now available on the web. CLM will help you to improve the quality, readability and experience of your documentation. All your material will be structured and simplified to be re-used later in a lot of various contexts. By re-using documentation you will save up to 70 % of the expenses for new production, maintenance and translation. The translation process is easily handled in CLM. When you have completed a publication, with new or already existing content, you choose what languages you would like it to be translated into and forward it for translation. CLM will automatically sense what is not already translated, collect it in a XLIFF file and send it on to a translator. When the content then has been translated the translator will feed it into the system via the CLM web portal. Here you will be given the opportunity to review the content, before you choose either to send it back for translation or import into the system. It is important to receive feedback on your contant in order to produce as perfect instructions as possible. It should be easy to request, receive and give comments, no matter who is handle them – a colleague within the same field or a person with specialist knowledge. In CLM the author may choose what content to be reviewed, who is to review it and how long it is to be available for review. The chosen reviewers will then get the opportunity to comment on the content, and the author may at the same time have the opportunity to respond to comments in case of uncertainties. Would you like to know more about Zert CLM? Find out how our customers are working with the program in our customer stories. Komatsu Forest acquired Zert CLM as they invested in a new platform for their spare parts catalogue. The changes resulted in a completely new way of working with information for Komatsu, but after a short adaptation period the staff are now entirely positive to the new way of working. 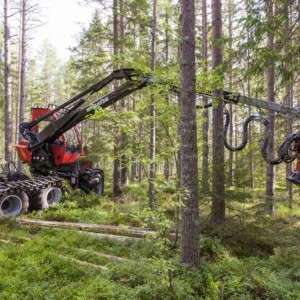 Komatsu Forest is one of the world’s major manufacturers of forestry machines. From the main office in Umeå the company supervises more than 1 100 employees. With such a large organization and such large machines to be sold world-wide there will also be a large flow of information. When Komatsu became interested in Zert CLM, they wished to become more efficient in their way of working with this information flow. They wanted something where they would only have to key in information once, in order to re-use it later and thus save time. Now that the Komatsu staff can handle information in a smoother way, they are getting more time for other things. Carina, an editor, says that this extra time is primarily used to increase user-friendliness. - To automate large parts of the process from construction to the publishing of product information would be optimal. Then you would be able to focus on value-adding activities, that is, to produce clear and user-friendly information and not waste time on moving, layouting and distributing information. Everyone who implements new programs and systems knows that such a process can sometimes be very tough. For Komatsu the greatest challenge with this transition was to incorporate the new way of thinking into the organization. - What my colleagues mainly have mentioned is that it is a matter of a new mindset in other dimensions and on other levels than what you have been used to, says Carina. The new way of working and not being able to realize what effects an action will have, something you were used to with the DTP tools, was a real challenge. Once the new way of thinking was established, Komatsu began to see the advantages, which on many occasions breed new thoughts and ideas of how to work. - The greatest advantages we have seen so far is how smooth and quick it is to introduce translations into new languages for complete books. Quality assurance, particularly for subset translations, is also a great plus. The next step will now be to review the structures of our books and harmonize them with our instructions books. Ideas on how other departments could be able to make use of the database information have been raised. New ideas arise all the time during the practical book production work. At Komatsu there has been full speed since Zert CLM was introduced. Even if the company has been affected by the state of the market, the documentation department is still very busy. - Sometimes it has been difficult to find the time for the users to sit down with the program in order to make design rules and operations stick, says Carina. Re-using texts is quite the right thing to do. With a certain amount of re-writing we may adjust existent phrases in order to make them fit into as many various books as possible. How did the employees experience the switchover to Zert CLM? - To begin with everything felt sluggish, and there are certainly things that could be changed from a user point of view, but now everybody is totally hooked on the system, says Carina. Komatsu Forest is among the first ones who have with the new editing tool in Zert CLM. Therefore they have been able to give feedback on the usability of the program from a beginner’s perspective. Komatsu’s work will not only lead to the development and efficiency of their own process, but also to the development of Zert CLM. However, if you’ve got a lot to do, it is also difficult to find the time for testing and giving feedback, even if you’re given the opportunity to change. Zert would therefore like to thank Komatsu AB very much. With the help of Zert CLM Ålö has managed to get rid of a lot of double-working by connecting the production of the spare parts catalogue with the production of the user manual. 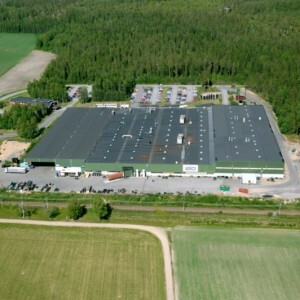 The vast premises of Ålö AB are situated outside Umeå, at Brännland. Ålö manufactures front loaders, tools and appropriate tractor appliances. With customers in more than 45 countries and a turnover of more than SEK 1 700 million in 2013 they belong to the regional giants. In order to make it easier for the customers Ålö produced assembly instructions with appropriate option lists for their products. This added value for the customer but at the same time it used to be very time-consuming and leading to double-working. But this was earlier on – nowadays double-working belongs to the past. - Via a simple question from Zert CLM to the spare parts catalogue we have solved the whole problem, says Anders Mill, global quality engineer at Ålö. Even before Ålö began to use Zert CLM they were aware of the double-working that emerged, when they produced information for a spare parts catalogue as well as assembly instructions. However, there was a certain amount of doubt before they started using Zert CLM – wouldn’t it be very complicated to switch over to the new system? This process proved to run more smoothly than what both Ålö and Zert would have believed. An example of a specific measure that Ålö feels has saved a lot of time is the parts list of spares that their customers can order subsequently. These add-on options are now described in image as well as in words at the end of each assembly instruction. Previously, the same add-on options were described in the spare parts catalogue, in a somewhat different form and with another image. Instead, Ålö now uses the same text and image material in both places: their CLM editors write in information which will then be automatically stored in the spare parts catalogue. In this way Zert CLM has eliminated double-working in the production. 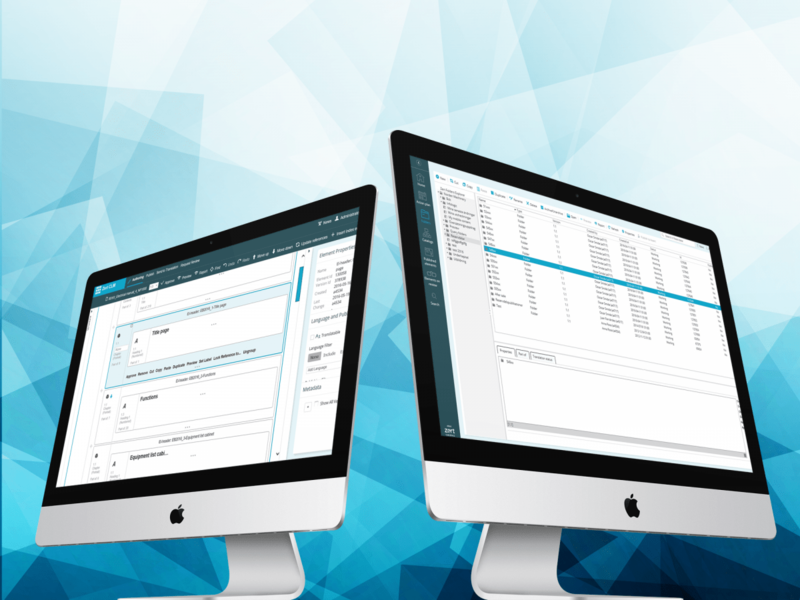 Ålö only has to update in one place, resulting in higher quality and a substantial increase of efficiency. - Everything has worked in a terrific way, says Anders Mill. For instance, a whole work activity has disappeared as a result of spare parts information being created in Zert CLM. For the whole project, we can notice that the contacts between the suppliers were solved in a painless way, and the synchronization between the two xml-based systems was implemented with a surprisingly small effort for all involved. Of course, there are things that you have to keep an extra check on. Now that I’m not alone any more it is particularly important that the communication with those who do construction and assembly instructions work is working well. CLM can offer an intuitive author environment, which makes cooperation easy. The system will help you to optimize reuse by giving immediate access to reusable segments. In the authoring process the tool assists with spelling, terminology and with following the guidelines that your company has defined. Reuse is possible on all information levels down to the smallest detail. All information is stored and translated on one single occasion but can be used in an unlimited number of publications. The automatic linguistic search function helps you to find and reuse material in real-time. The strong quality assurance will give you full control and security, not least with translation. The restoration of previous editions and/or selective penetration of important changes are functions for the increase of efficiency. CLM will help you to handle the translation process and to reduce the costs substantially by increasing the degree of reuse as regards both translation and layouts. When you need to translate something, CLM will automatically find those parts of the material which lack translation and collect them in a XLIFF file, which will be sent to the translator. All communication with translators is handled via the CLM web portal. CLM will collect the whole process from information editing to publishing in one and the same tool. All you need to be able to work efficiently is in the program, and the only thing you have to add is what you know best: information about your product.